A clean home starts with a clean carpet. And if your carpets have not been cleaned in a while you should hurry up and give our company a call. 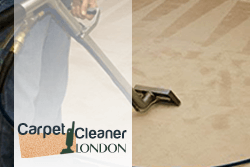 Our carpet cleaning service is well known in White City W12 and we are used by many people to keep their carpets clean and fresh. And a clean and fresh carpet also means a healthy and safe home. Carpets can be the source of a lot of dirt and bad smells in your home, not to mention that they can also be harmful to your health. Our company understands the importance of a clean carpet and we have designed our service in such a way that it helps people have clean and safe carpets without worrying about doing the work. How our carpet cleaning service works is that our cleaners will come to your home and will, of course, bring their professional steam cleaning machines and products. They will, firstly, vacuum your carpets to remove debris, dust and hair from the surface of your carpet. If there are any stains that need to be pre-treated our cleaners will take care of them. The next steam is the steam cleaning. The steam cleaning process uses hot water extraction method to clean your carpet efficiently not only on the surface but beneath it as well. Steam cleaning is easy to use and it helps get rid of stains, smells and bacteria from your carpets. And with our professional products also all allergens will disappear. You can rely on our professional carpet cleaning service to give you excellent results. 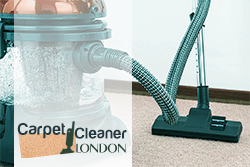 Our company is second to none in W12 London and so is our carpet cleaning service. And our convenient prices make our service accessible to everyone. Call us soon.